If our path is among the stars, may they be paved with asteroids? Part II of a series focusing on space colonization. For Part I, see here. July 31, 2015 | BIT Magazine Humanity moving out among the stars is not only the ultimate fulfillment of everything that makes up the best of humanity, it is the only way humanity and the many organisms and natural wonders we inhabit Earth with can ultimately survive. Whether an asteroid smashes into our planet and strips all life from its surface, or our sun goes supernova and consumes the planet in its entirety, hedging our bets by bringing life off-world will be both our greatest adventure and our only insurance policy. Science fiction today, worlds like this might be a reality tomorrow, and the key to establishing permanent settlements beyond Earth. The space habitat featured in the movie Elysium was an example of what is called a Stanford Torus. We often talk about our first steps off-world being on the moon or on Mars. While we will undoubtedly return to the moon and one day set foot on Mars, perhaps the most important step we must make is onto worlds of our own creation. 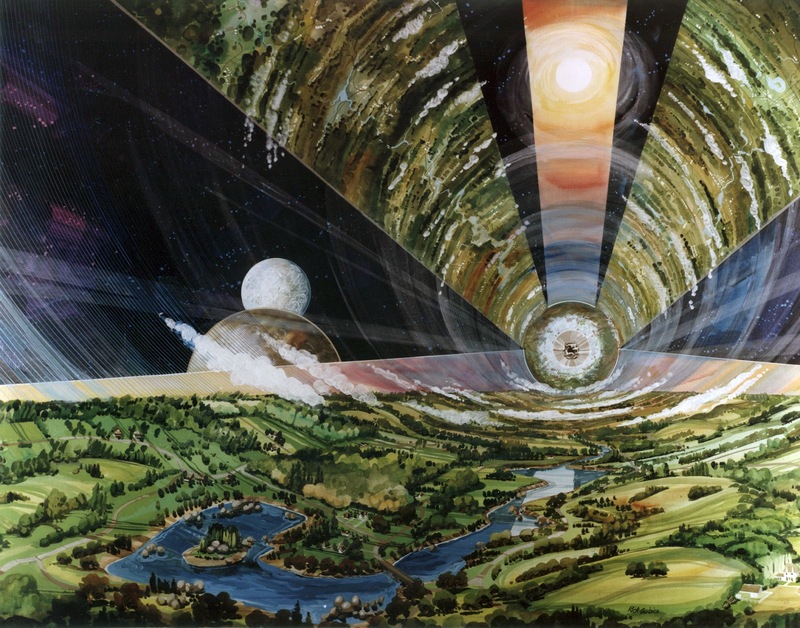 These "castles in the sky," more technically would be the Stanford Torus, Bernal Sphere, and O'Neill Cylinder habitats of NASA's 1970's Summer Studies where engineers and designers worked out just how to construct such worlds. These habitats could be put in orbit around the Earth, around the sun, around Mars, Jupiter, or anywhere we prefer. Their strengths include this ability to precisely position them, as well as control both their climate and gravity, something that will be impossible on the moon or on Mars, barring something like science fiction-style terraforming technology and gravity plating. The fact that both the moon and Mars lack these features makes permanent settlement of either a challenge. The ring-shaped Stanford Torus configuration. While we are confident in theory, for the longest time we have been confounded on how to put into practice the construction of these habitats. 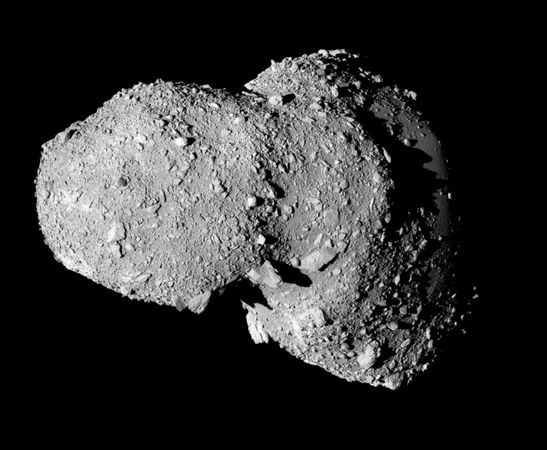 Of course the idea of using asteroids as construction material, rather than launching hundreds of tons of construction material into space from Earth, has been on the drawing board for the longest time, but progress toward realizing it has been slow. Recently however, two companies -- Planetary Resources and Deep Space Industries (DSI) -- have been founded specifically to tap the resources present in asteroids, and not simply for returning these resources to Earth, but to exploit them for expanding humanity into space. Real people, with real technology, and real launch schedules are creating the means to find, approach, study, land on, and extract resources from asteroids in our solar system. They and others are also working on manufacturing technology for use in space to potentially spin worlds out of these asteroids. 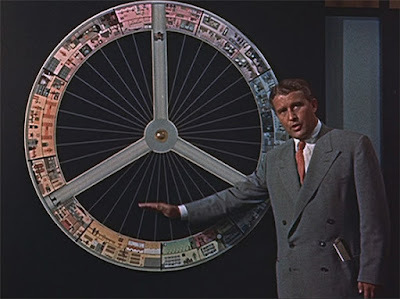 The Stanford Torus, Bernal Sphere, and O'Neill Cylinder, while different configurations, represent the same basic concept. They are immense geometric shapes meant to spin on a central axis. Habitation would exist within the inner surface of these shapes, pushed against this inner surface by centripetal force produced by the structure's spin. Think about a bottle of water in your hand and what happens if you quickly spin it with your arm fully extended from your side, over your head, and back to your side again. The water presses against the bottom of the bottle regardless of its orientation. These space habitats would produce gravity in a similar manner, albeit on a much more massive scale. An O'Neill Cylinder is essentially a Stanford Torus stretched out. It would require vastly larger scales in both terms of materials and fabrication equipment. 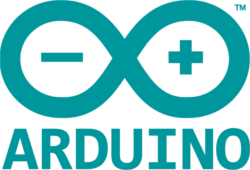 A self-contained environment, powered by our sun or other power source could take on an infinite number of configurations. That inner surface can be covered in virtually anything we imagine. We could recreate ecosystems not unlike the Biosphere 2 experiment. There, in 1991, engineers and scientists recreated rain forests, a tiny ocean, and grass plains in the middle of the Arizona desert within a self-contained enclosure. While the goal of creating a self-sustaining, naturally balanced world onto itself was never achieved, Biosphere 2 still stands today, with multiple ecosystems still perpetuating themselves in the middle of an otherwise inhospitable environment. Future habitats will probably be a mix of mechanically maintained conditions like on existing space stations, augmented by natural processes when practical. Cross-section of a Bernal Sphere. Imagine a space habitat many times larger than the Biosphere 2 project, with one or more ecosystems contained within it. It would serve as the ultimate nature preserve, preventing the introduction of invasive species or genetically modified organisms, not to mention ensuring the impossibility of poachers or pollution from disrupting them. Cities either created from scratch, or meant to recreate the splendor and charm of existing (or even past) cities on Earth could be built as well, and unlike on Earth, a lack of space is not an issue in ... space. 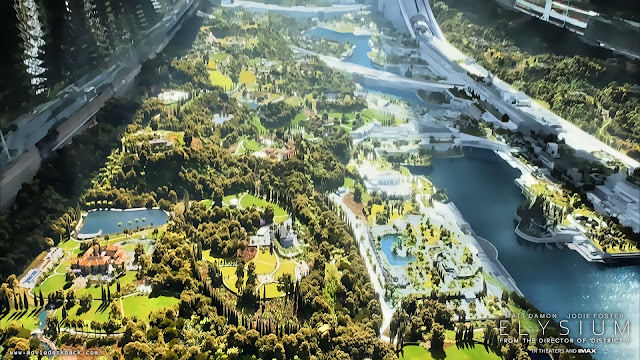 In such a future where these habitats are a possibility (or a reality), we will likely either have arrived at or be very close to post-scarcity. The ability to take what is available and convert it to what is desirable in a seamlessly efficient manner will be paramount to stable civilizations springing up beyond Earth. Rather than fighting over the last patch of dirt on any given world, one would find it easier to simply move on and build a new one. If that sounds like the sort of future you could get behind, you'll be happy to know the first tentative steps toward it are already being taken. JAXA's Hayabusa returned a sample back to Earth from Itokawa (pictured). First and foremost is finding and exploiting the resources needed to create these worlds. This includes both the technology to reach asteroids, and the means to manufacture structures and systems from them. NASA, JAXA, ESA, and CNSA have all conducted missions to asteroids, either exploring them remotely, or landing on them. At least one mission has landed on an asteroid, taken a sample, and returned it to Earth. These missions collectively are a proof-of-concept of humanity's ability to reach asteroids. The next step will be reaching them for purposes other than mere exploration. The ability to manufacture in space is still a yet untested field. Construction of prefabricated modules is possible, as proven with both Russia's Mir space station and its successor the International Space Station (ISS). But actually refining raw materials into structures beyond Earth has yet to be achieved. NASA and the ESA have both studied the possibility of using 3D printing technology to take lunar or Martian soil and constructing habitats from it. Similar processes could be used to convert an asteroid's raw materials into a habitat. Concepts presented by both DSI and Planetary Resources have indicated an interest in this direction, with their initial missions serving as a pathway toward these more ambitious objectives. For now, DSI and Planetary Resources are building spacecraft to hunt down and study asteroids for future exploitation. The next series of spacecraft will seek to acquire and return samples to Earth. Beyond that, it is still too early to tell where either of these companies will end up as far as building permanent habits in orbit, but the technology they are developing will directly lead others there, whether they choose to do it themselves or not. 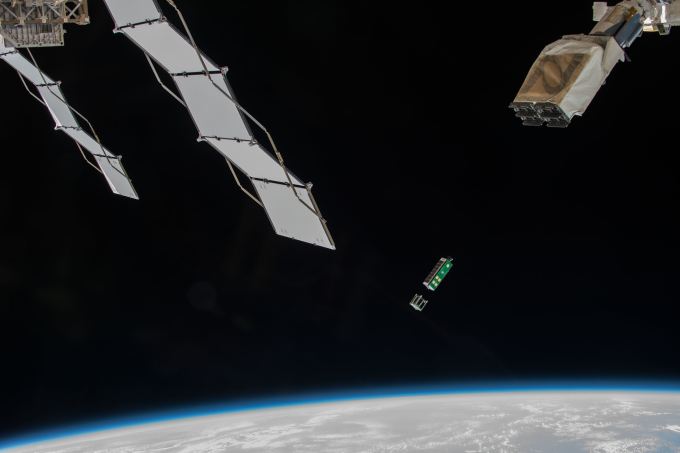 Planetary Resources has already begun testing key technologies including the recent launch and 90 day mission of their Arkyd 3 spacecraft from the ISS. Technology is accelerating at a breakneck pace, dropping prices drastically even in areas once thought to be permanently prohibitive to all but the largest governments. Space X for example, is proving that launching payloads into space can be done for a fraction of the cost of previous methods. With Planetary Resources and DSI entering the asteroid hunting business, it is likely progress already made by national space agencies will accelerate. Breakthroughs in computer-controlled manufacturing like 3D printing, especially in the field of construction will ultimately make the construction of something like a Stanford Torus possible. The size and complexity of such a structure would be a daunting task for traditional construction methods adapted to microgravity. Wernher Von Braun's concept for a torus-shaped space station. In the meantime, the ISS remains in orbit and serving as a proving ground for permanent human habitation beyond Earth. Future Russian and Chinese space stations are in the works to continue humanity's foothold in orbit well into the future after the ISS is decommissioned. 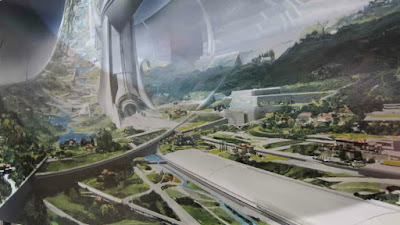 While no serious talk has been made of a larger space station featuring a spinning axis using centripetal force to create artificial gravity, such a station could be conceivably prefabricated on Earth, launched and maintained as a stop gap between modular microgravity space stations and something like a full-scale Stanford Torus. We know humans can live beyond Earth, because they have been doing so for over two decades. First on Russia's Mir space station for nearly 10 years, and now on ISS for 15 years, human beings have maintained a nearly uninterrupted presence in Earth orbit. While both Mir and ISS are microgravity environments unsuitable for long-term or permanent habitation, the lessons learned will be invaluable to future space stations for living and working safely beyond Earth. Many may take for granted what the ISS currently represents and is capable of doing. It is supporting 6 crew members 24 hours a day, every day of the year, producing electricity, cleaning the air, storing, reusing, and filtering water, storing essential supplies for daily consumption, and receiving and sending cargo from and to Earth. The International Space Station (ISS). Everything we know about living and working in space is being learned here. Repairs, modifications, and even accidents are essential lessons learned that will make tomorrow's space habitats safer and more efficient. Each and every one of these tasks will be necessary on a permanent habitat, even if on a much larger scale. The ISS isn't a self-contained mission that needs to justify itself merely based on the current sum of its total parts and accomplishments. It is a stepping stone toward something much grander. Manned missions to asteroids will build on what ISS has taught humanity about living and working in space. These missions to asteroids, once past the proof-of-concept and exploration stages, will most likely become construction projects. When you are spinning a world from scratch, all that you will have is what you bring with you, including knowledge, training, and experience. This perhaps justifies the ISS' existence and future stations being planned like it, more than anything else. Should humanity succeed in creating entire worlds from asteroids, we will have a permanent foothold beyond Earth to expand human civilization indefinitely, cultivate the ecosystems of Earth beyond any dangers that may befall our home world, and even create entirely new ecosystems with synthetic biology, isolated safely away from our planet's natural genetic heritage. We will alleviate a multitude of socioeconomic and environmental crises by doing so, and open up opportunities never before possible for both individuals and human civilization collectively. Steps still need to be taken before humanity sets foot on worlds it creates itself beyond Earth. And while hunting down and exploiting the resources on asteroids is one of them, other steps can be taken right here on Earth. In fact, the Biosphere 2 project, considered by many a spectacular failure, has in fact taught us a great deal about creating and sustaining artificial ecosystems humans intend to inhabit beyond Earth. The Biosphere 2 project in Arizona gives us an idea of what to do and what not to do when constructing artificial ecosystems beyond Earth. In situ construction methods using computer-controlled manufacturing processes like 3D printing to turn rock and ore into structures and systems suitable for human habitation is another field being pursued on Earth that will eventually help in constructing worlds beyond. Common 3D printing and other forms of personal manufacturing will also help in creating viable civilizations and economies in space. 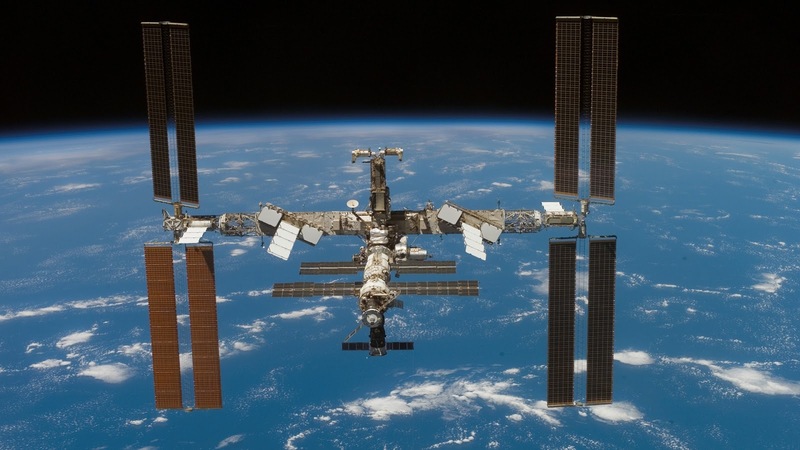 In fact, many projects and even a recent NASA contest focus on Earth-based innovation to help test methods for constructing habitats in space, while the ISS currently serves as host to a 3D printer already used to create tools and spare parts that would otherwise need to be launched into orbit from Earth during resupply missions. 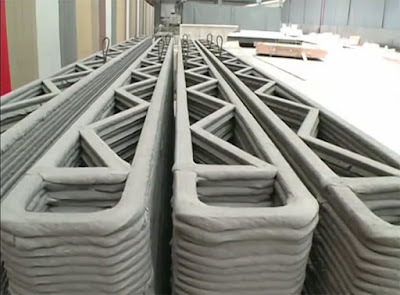 3D printing architecture on Earth will eventually lead to printing it in space. Studying how humans interact and function in small, but modern communities might be another focus helping prepare humanity for living among the stars. The city-state of Singapore is a tiny island with a compact society that might be the closest model we have to a comparable population that may one day inhabit a permanent space colony. Looking at how Singapore manages many aspects of society in this context might help inform designs for future colonies in space. 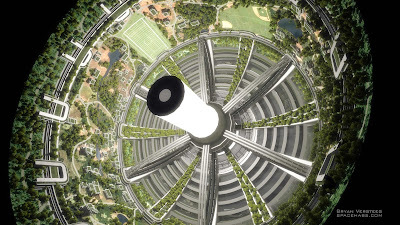 And everything we are learning now from urban agriculture to increasingly localized industry, energy management, and environmental controls can be one day integrated in large-scale colonies in space. For those who believe in humanity's future in space, understanding that many of the things we do daily in makerspaces, for work, or for hobbies, if properly documented and shared with others, could directly help accelerate progress toward that future might give us a renewed daily sense of purpose. And the closer we get to achieving this exciting possibility, the easier it will be to convince others of the merits of both current space exploration, and future endeavors.